Oldest Democracy vs Largest Democracy ; An intro of US Politics for Indians !!! This Tuesday will be the day when we come to know who would be the most powerful person of this planet for next four years. Iam not going into the candidates but i hope she wins. US presidential election is the one of the most complex, elaborate and systematic approach of election i know. The process usually takes around 1 year with some of the best twists happening in the due course that you can only see in a Emmy Award winning Drama series. Right from people declaring their candidacy to be President Nominee from a party , the primaries and caucuses they go through for Party conventions, debates after being declared the candidates is probably the most scrutinized process for a job. A good visual representation of the process is here. Technically, the US president is elected by an electoral college of 538 ‘electors’ with each state voters voting for some 438 people to vote for their to represent their candidate . Another 100 people who decide the President are the State Senators , who are a constant 2 for each state. Each state has certain number of delegates of this 438 it can send to decide the next president. This is based on population, If a state has high population, that state would have more electors. This is somewhat similar to deciding the Prime Minister of India where members of parliament vote and decide the Prime Minister(Supposedly) . However, the members of Parliament wield some power since India is a parliamentary style of Democracy whereas electors do not have any power or term . In reality, the presidential voting in US happens this year on Dec 19th and votes are counted on Jan 17th 2017 while people vote for the candidates ‘electors’ who vote in Dec on Nov 8th. The most interesting thing of the elections for an outsider is that almost all states have Winner take all approach of electors. ie. If one candidate gets majority votes, the entire electors of that state belong to that candidate. If a candidate is more popular in most populated states of California, Florida, Texas , then he/she has more chances of winning. Except Maine and Nebraska states, all other states have such elector model and these states have some local “Congressional elector model” . This winner take all approach sometimes cause a grave concern that a candidate is more popular nationally with more people voting for him but looses the crucial states. Al Gore, in 2000, had got more votes than George W Bush but lost due to loosing more states and thus having less electors. And there is nothing stopping from a elector , to vote for the candidate who he/she was selected to vote for during Presidential voting . This gerrymandering is not rampant but is not taken care legally, whereas in India an MP if elected on one party ticket cannot switch parties without loosing his MP status. In US, Ballot access is restricted to people who fulfill a certain criteria of voters signatures or other criteria which differs from state to state . Ballot access is the privilege to be on ballot paper in election. In India, any person can contest elections if he has sufficient deposit money and he would loose deposit amount if he does not get atleast one sixth of valid votes polled. The voting percentage in US is not that great when compared to India and it is usually less than 60 %. Winnability of a candidate is usually determined by the money raised and money spent on TV Ads. Transparent process in political donations is the most important thing India has to learn from US politics. Organisations donate money to candidates so that they can lobby later, but its a bit transparent. Groups called PAC (Political Action Committee) can be formed by people on behalf of candidate and they can pour in as much money as they can into a candidate campaign. Whereas we do have legal limits of campaign expenditure in India which nobody honors and is not actually sufficient for a party. One interesting thing about US presidential election is tax payers can pay 3 dollars of their taxes to Presidential election fund which is later given to presidential candidates for their election campaigns. However, if a candidate takes that money, there would be cap on his expenditure and cannot take money from others. In a way Govt will sponsor your campaign (the current limit is around 40$ million) if you can stand in an election and can fulfill a certain criteria. Usually the candidates ignore this money and raise on their own and this money is donated to cancer research. The rules are not same when the prospective candidates go through primaries and caucuses of their parties and thats a whole lot of complex system altogether where electoral engineering plays more role than popular vote . The parties have this some established internal democracy rules and someone who is incapable cannot be on the ballot to be most powerful person of this planet. John oliver, noted TV host, in this video informs what is wrong with this primary and caucuses approach . US also has a bicameral legislature, ie. there are two legislature bodies like India. The upper house in India is called Rajya Sabha where the representatives are elected by states and some are nominated by President . The upper house in US is called Senate and each state gets 2 representatives each who have 6 year terms and some of them do have elections during the same Presidential election time on this Nov 8. 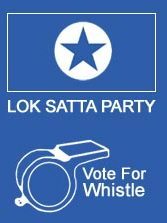 The lower house in India is called Lok Sabha where representatives are elected by their specific geographical electorate or constituency . The lower house in US is called House of Representatives and each of these are won from their Congressional district. Both these House of Representatives and Senate are called as US Congress , like Indian Parliament. The TIME cover this week . Torch bearer Pawan Kalyan !! This Independence Day , Be the change you wish to see !! !